André Thomkins (1930–85) was a renowned draftsman, painter, and word artist who combined a classic mastery of artistic media with a sense of whimsy and experimentation influenced by both surrealism and Dadaism. In the 1950s, Thomkins created what he called “Lackskins” by applying gloss paint to water. In a method similar to marbling paper, Thomkins would then use paper to pick up the abstract pattern of the paint on the surface of the water. He discovered this new approach to painting after he observed that glossy paint left a film of color on the surface of the water as he washed his paintbrushes. With great care and genuine curiosity Thomkins manipulated the color on the top of the water and created what he described as “something planetary, very light, and fluctuating.” Each piece combines the calculation of a watchful artist with the spontaneity of water in motion, resulting in works that are intoxicating but distant, colorful but unknowable. These pieces foreshadowed the later chromatic abstract paintings of younger generations. Published to coincide with a exhibition of the Lackskins in the Bundner Kunstmuseum Chur, André Thomkins–Lackskins is the first comprehensive presentation of these works. Stylish and well-crafted, the book includes images of the Lackskins along with scholarship on Thomkins contributed by art historians. 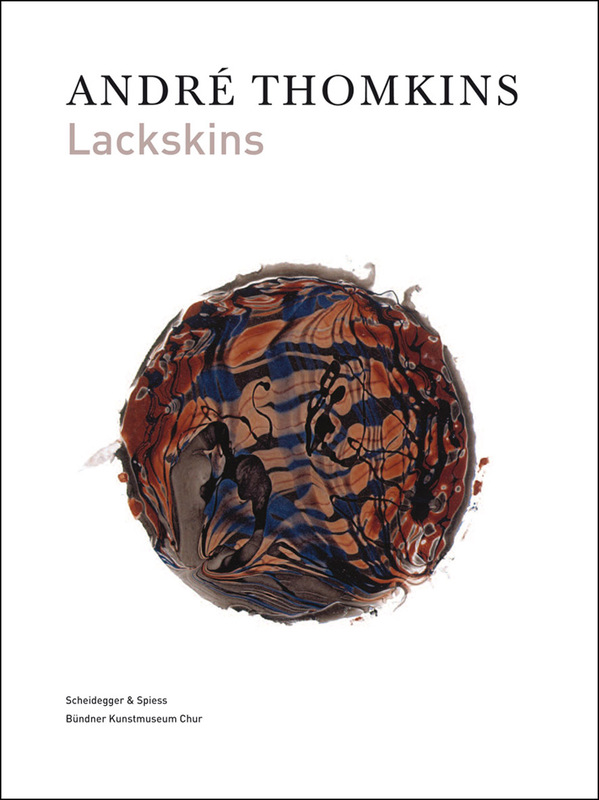 Thomkins’s own writing on the process and theory behind the Lackskins is also collected in this volume.